Get out that 'air guitar' and rock out with some of the finest musicians from bands like Whitesnake, Bon Jovi, Heart, Survivor, Quiet Riot, the Offspring and many more performing the best classic rock songs of all time at the most rock 'n roll hotel there is, the Hard Rock Hotel and Casino. This 1.5 hour time travel from the late 60's to the arena rock of the 80's has constantly been on top of all review lists of Las Vegas. The actual musicians from bands like Quiet Riot, Whitesnake, Bon Jovi, Heart (to name a few) play songs from the Rolling Stones, The Who, Jimi Hendrix, Eagles, Led Zeppelin, Pat Benatar, ZZ Top, AC/DC, Van Halen and many, many more. Voted "Best of Vegas" in 2014 and 2015 by the readers of the Las Vegas Review Journal, this epic concert experience featuring a 50,000 Watt Bose sound system, a killer light show plus the obligatory fog and lasers brings you back to the time when music was created by real musicians and not a computer. You can upgrade your ticket to the Rock Star Package which includes a meet and greet with the band prior to the show, a photo opportunity with the band and a souvenir program. 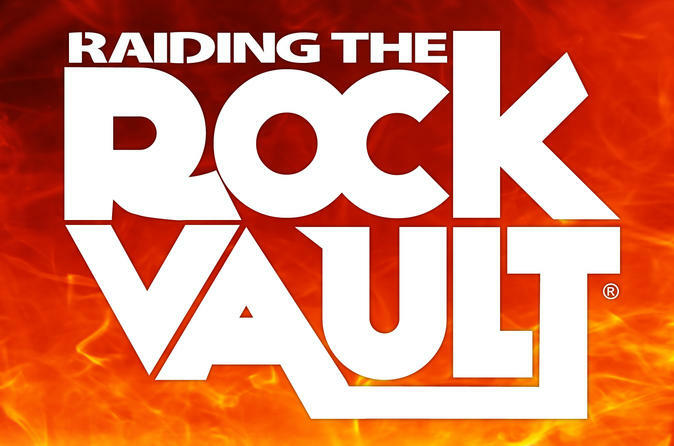 Come rock out and find out why there is no other show like 'Raiding the Rock Vault' in Las Vegas. Special Offer - Price displayed includes a 27% discount off the local admission price! - Book Now!